Elena Murzello, Registered Nurse, MBA, Actress and author of a book called "The Love List". An Aquarian with passions for fashion, beauty, travel and food. It really just started when my tan from Hawaii faded and I noticed the dimpling on my thighs – yes, it was cellulite. How could this be? Obsessively, I googled how to combat cellulite at 2 in the morning and I found three things: exercise, topical creams and diet. Keeping a busy schedule made it easier to adhere to the diet plan. Yet, on the weekends, I struggled. I woke up and unless I kept my mind busy or I was out of the house, I found myself watching the clock. I would casually walk to the kitchen and see all the options in the kitchen and immediately wanting everything. I realized – I was an emotional eater. I was not eating my feelings when I was sad about something – it was out of boredom. I was not even hungry. I thought that emotional eating was an excuse for over weight people – but I am far from being overweight. And eating out of boredom was not something that I prescribed to until I committed myself to intermittent fasting. There is something to be said about mind over matter and committing yourself in a way that challenges your mind. Sugar is good. But in a very bad way. “What are your thoughts on refined sugar?” I asked Chef Joel Gamoran of the fyi/A+E TV Show, SCRAPS as we sat down to breakfast. I was cutting into a stuffed berry French toast with an iced mocha on the side. He was being “good” and had an omelet. His answer didn’t skip a beat, “Not good.” Eek! Once my mocha-a-day’s came to a screeching hault because of the refined sugar involved, I quickly realized something by the end of week one: the “coffee” that I was drinking made me buzzed well into the evening. Very rarely was able to have a mocha after 2pm. This in fact, had nothing to do with the actual coffee – it was all sugar. I was ingesting cups of sugar on the daily. It was the sugar that made me have sleepless nights and made wired. Bad news – sugar is in everything. Especially a lot of prepared food (a busy person’s go-to), even the best fruits have tons of natural sugars. Being on Keto has made me more aware just how much sugar plays a part in the way we feel on a daily basis. How, when you remove the sugar in your diet, you can actually sleep throughout the night and not have random googling sessions of how to loose your cellulite or online shop. When I think of protein, I think of eggs, meat and beans – all things that I have had during the last three weeks. And although there is a huge industry pushing the sugary snacks, there is another sizable industry pushing against it, promoting the clean eating. Part of that clean eating includes plant protein. In early 2019, Tulo House will open as NYC’s first plant-based milk bar and café. The concept stemmed from cofounders (Australian health coach Laura Hopkins and Elite Model/philanthropist Shannon Rusbuldt) making nut milks and hosting classes in their own homes. 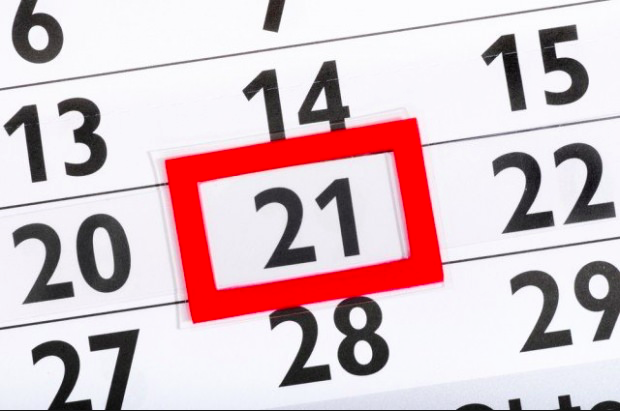 There are some who believe that it takes 21 days to start or break a habit. Other research I found stated it was closer to 60-day mark, where new changes can start to show a difference. The true test will be the maintenance of this lifestyle choice and I can feel a difference in the way my body looks and feels already which is motivation for me to continue on. Writer’s Update: Day 30 something – Back from vacation and I’m still intermittent fasting. I’ll admit, I did have a few drinks with some dessert. Overall, the cravings I used to have for sugary food and drinks have ceased. Adjusting to the time difference, I started to eat earlier and made sure that I was well hydrated in the hot weather. Elena Murzello, a young 30-something, always had big dreams. The daughter of a Filipino-Chinese mother and an Italian-East Indian father, she comes by her exotic global influences naturally. After pursuing degrees at the University of Victoria, and the University of British Columbia where she got her MBA, she packed her passport and headed out to the airport. Stops in Buenos Aires, London, Paris, Barcelona, Rome, Dubai and Tokyo gave this world traveler a true appreciation of the international lifestyle. But she felt she needed a partner, so she scribbled down a “love list” and immediately met her boyfriend of ten years. When that relationship ended, she felt other women could benefit from her advice, so she authored the book The Love List: A Guide To Getting Who You Want, which was published in 2013. Besides being an author, the multi-talented Murzello also secured a reoccurring acting role on the Showtime series The L Word, (available on Netflix) and has appeared in television commercials for international brands such as AT&T as well as numerous local TV spots; she holds both SAG and ACTRA qualifications.